FREE Mini Sopapilla With Kid's Meal Purchase At El Fenix! You are here: Home / FREEbies / FREE Mini Sopapilla With Kid’s Meal Purchase At El Fenix! 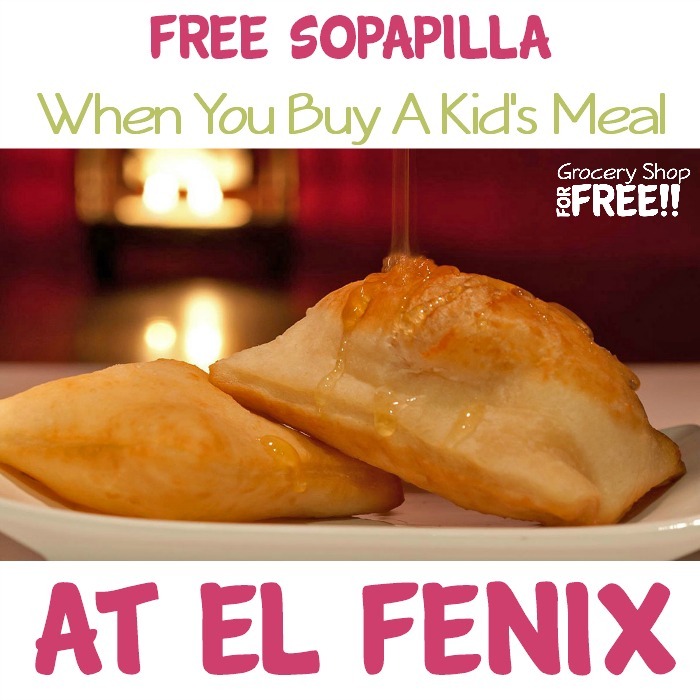 FREE Mini Sopapilla With Kid’s Meal Purchase At El Fenix! This is a deal that you should not miss! Every Tuesday, from open to close, beginning May 1, El Fenix will offer its Kids Menu at a discounted price of just $1.99, PLUS FREE Mini Sopapilla! No coupon needed! Every kid’s meal comes with a drink and your choice of an entrée. Some of the most popular options include Lil’ Martinez’ Chilada, Paco’s Tacos, Mama Cha Cha’s Quesadilla, and the Lil’ Amigo’s Sliders. The kid-friendly fun doesn’t stop there. El Fenix’s Kid’s Fit Menu features several additional healthy meal choices including: Chicken Soft Tacos, Rollie Pollie Quesadilla, and the Kids Fit Menu Invitational 2017 Winner, the Jack E. Singley Academy’s Tostada, a crispy chalupa shell topped with black bean and veggie puré and your choice of shredded brisket, chicken or cheddar cheese. All of these entrées are served with apple juice and a side of cinnamon oranges, steamed veggies or sweet nachos. There are 22 El Fenix restaurants located throughout North Texas, and at WinStar World Casino & Resort. For the restaurant nearest you and more information on the entire menu, visit ElFenix.com.